Aarsunwoods offers stroke Multi-Utility Wardrobe, which is sure to make heads turn with its ethnic and classy look. 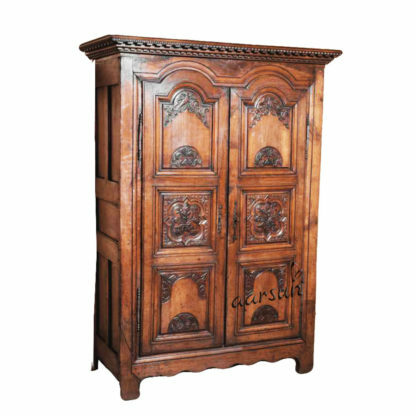 The handmade Wardrobe design and the intricately designed borders give this natural walnut finished wardrobe a very feminine and almost a royal feel. It is an intelligent choice if you wish to bring in an element of style and elegance into your room. 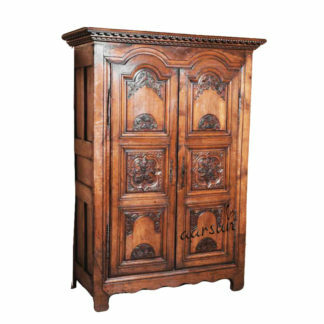 The traditional design is the very highlight of this Sheesham wood with Natural finished Wardrobe. With adequate hanger space, this product makes a comprehensive solution for all your storage requirements. Whether you have just shifted to a new house or included a new member of your family, this can be a great buy for it offers excellent value for money. The Wooden Almirah Wardrobe design might remind you of the cupboards at your ancestral house, but it does accommodate all your modern stuff in a convenient and safe way. 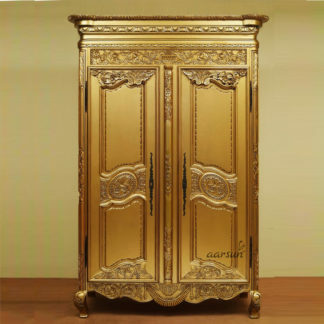 Accessories your home with this wardrobe and enjoy the nostalgia it brings in.